How does it work? To get an accurate humidity reading for the guitar body, we recommend that you first lay the guitar case with the back to the floor and open the cover. Take a small piece of cloth, and place it under the hygrometer to avoid scratching the top of your guitar. 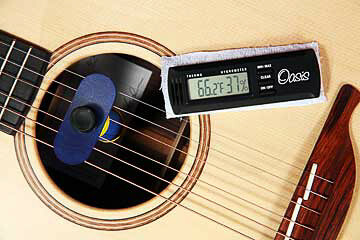 Put the hygrometer on the guitar top with the sensor at the edge of the sound hole. Close the case, and allow 4-6 hours for the humidity to stabilize. Open the case and look at the reading within a few seconds, and you get the humidity reading that existed just before you opened the case. 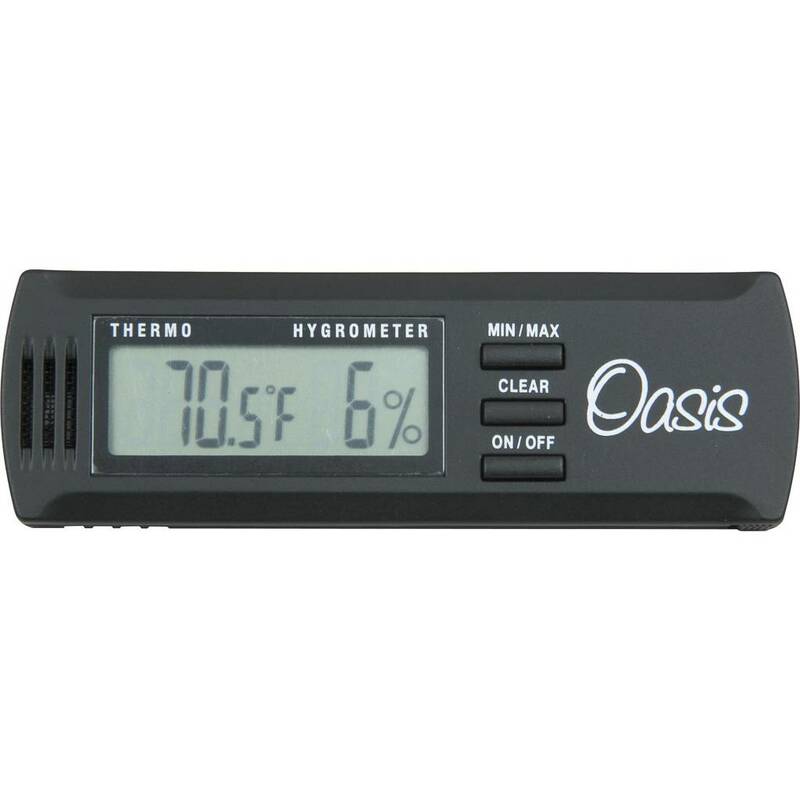 Because the Oasis humidifier will somewhat distort the humidity reading, take readings with the Oasis humidifier in place and take readings without the Oasis humidifier. A well-humidified guitar in its case will have relatively stable humidity readings, so you don’t have to measure the humidity all the time. 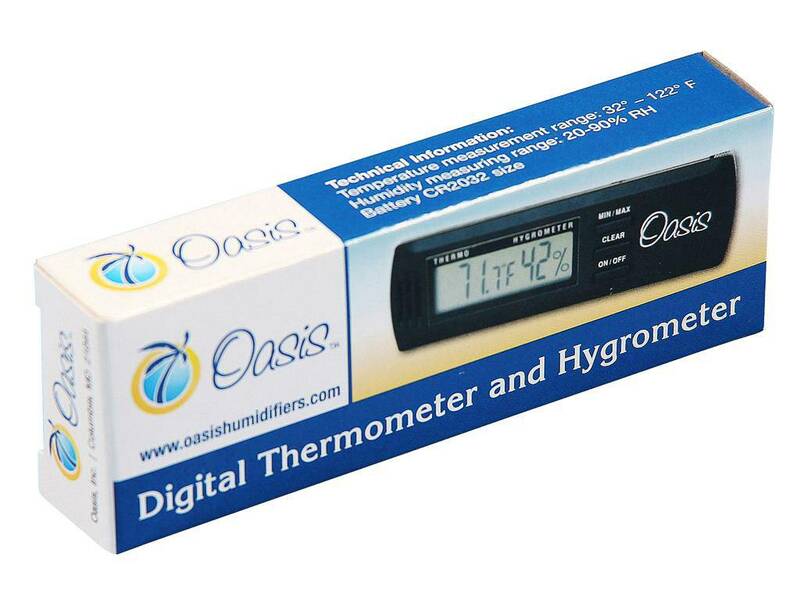 Since the hygrometer is not secured, take special care NOT to move the case while the hygrometer is in this position.